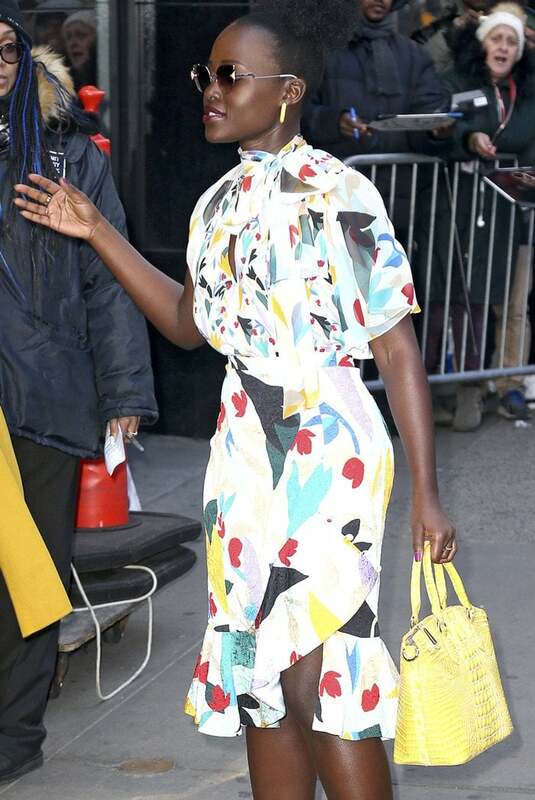 Lupita Nyong’o rocked a colorful dress from Prabal Gurung’s Pre-Fall 2019 collection as she posed outside of the Good Morning America studios ahead of her appearance on Tuesday in New York City. 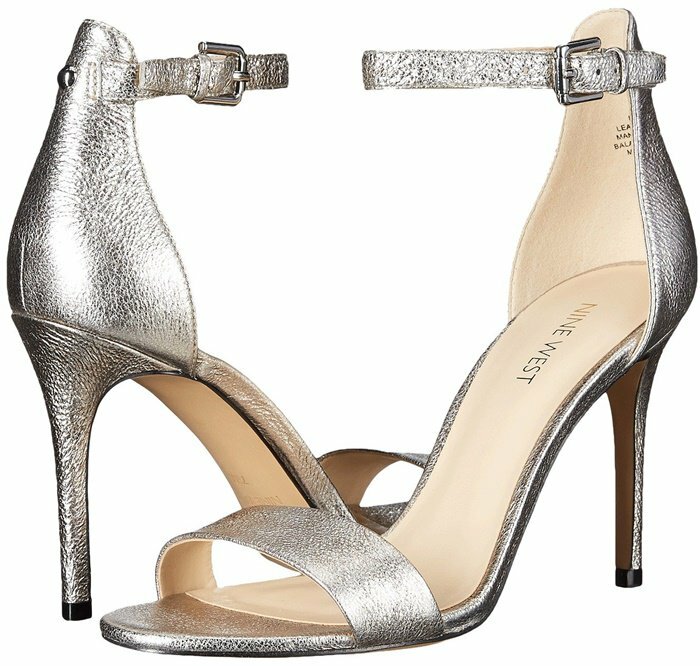 She styled her floral-print keyhole blouse and skirt with Nine West’s fiery red Mana ankle-strap sandals that you can purchase on sale for $59.99 at Nine West. She accessorized with statement sunglasses, an alligator-effect yellow handbag, and chunky hoop earrings. 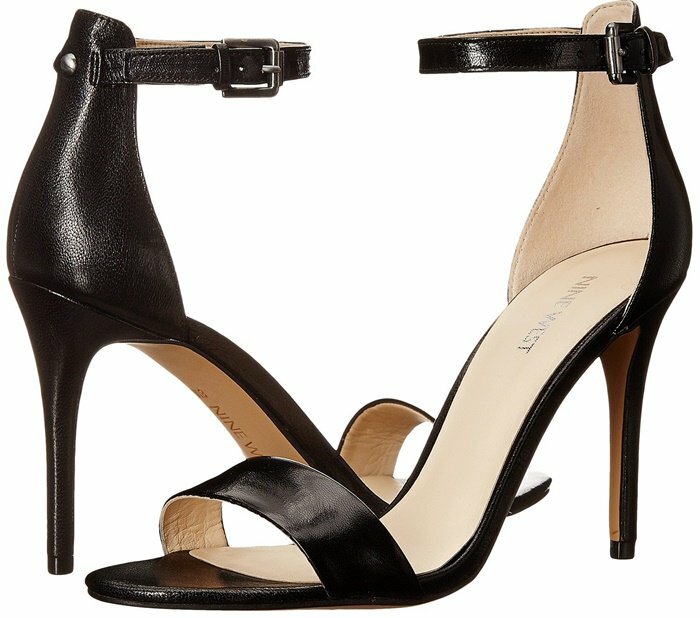 With a lightly cushioned footbed and a tall stiletto heel, this classic ankle-strap sandal is easy to wear and easy to pair with the rest of your wardrobe. The previous evening, the 36-year-old Oscar winner stopped by The Late Show with Stephen Colbert to discuss her new psychological horror film Us, which hits theaters on Friday (March 22). She revealed that she accidentally terrified a fan at the South by Southwest (SXSW) premiere of Us: “At one point I went to the bathroom while the movie was going on and another lady came out of the stall to wash her hands and I emerged from my stall,” the Kenyan-Mexican actress recalled. A few days ago, Lupita was also spotted in a Max Mara coat heading out after visiting BBC Radio 2 in London, United Kingdom. Last month, she also attended the 2019 Vanity Fair Oscar Party at the Wallis Annenberg Center for the Performing Arts in Beverly Hills, California. After skipping the red carpet at the 2019 Academy Awards, Lupita wowed in a white feathered Oscar de la Renta Fall 2019 dress. 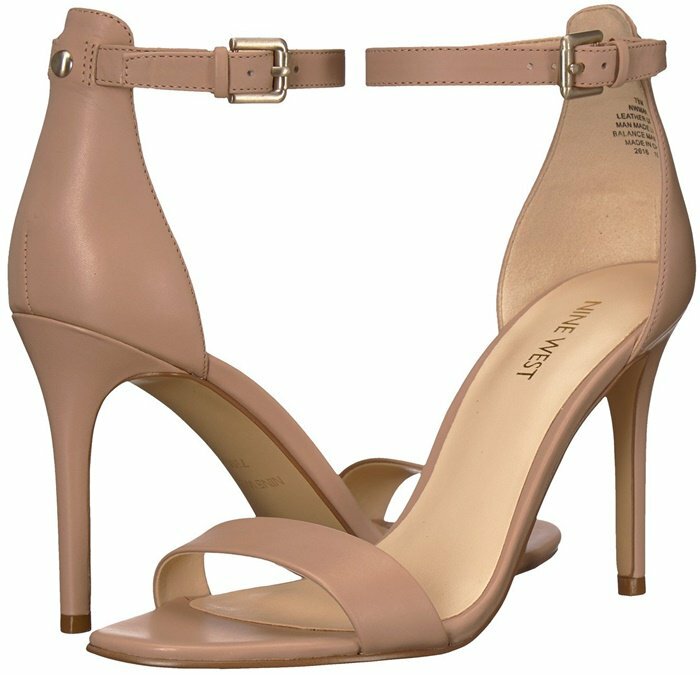 She accessorized with a black waistband and satin sandals.